New York, Pierre Matisse Gallery, Calder Mobiles-Stabiles, May 1939, no. 3 (illustrated). This work is registered in the archives of the Calder Foundation, New York, under application number A12606. This work is one of the three maquettes that the artist made in various sizes before completing the final outdoor version which measures eight feet tall. 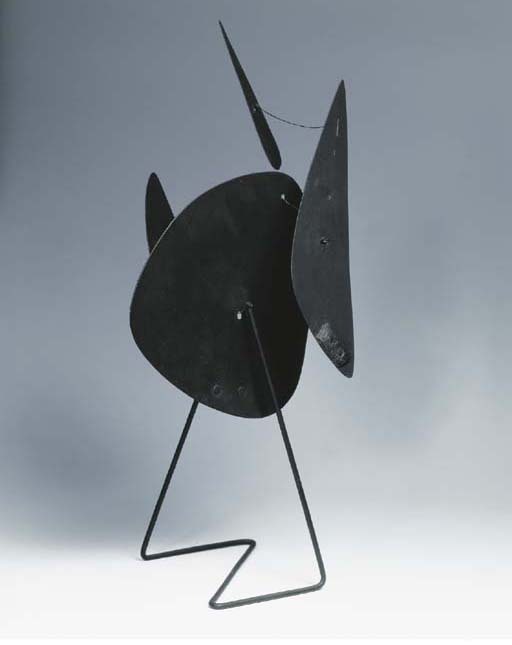 Calder gave this version to James Johnson Sweeney, the influential curator of the Museum of Modern Art, and the work remained in his family until 1994.